After months of careful ambiguity, Rockstar Games is finally showing more of the story in Red Dead Redemption 2. Up to now, we’ve had to make do with hazy glimpses from the previous trailers. 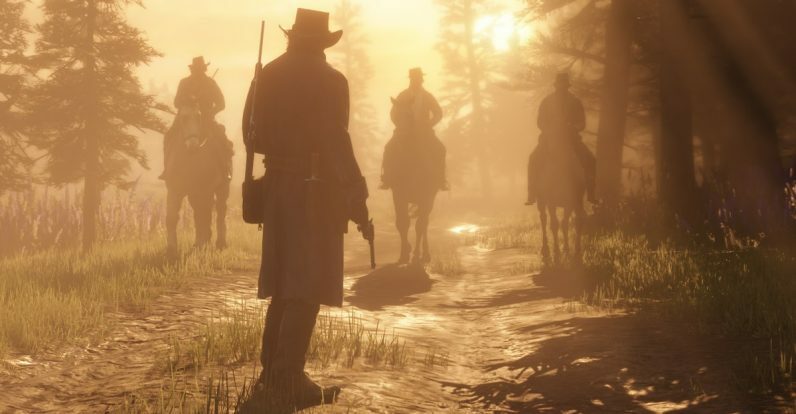 Now, thanks to the trailer posted this morning, we’ve got a better idea of what the game’s all about — not to mention several gorgeous shots of the American West and characters so intricately grizzled Sergio Leone’s ghost is applauding. The details: Red Dead Redemption 2 is a prequel — in fact, that’s the only thing we’ve known about the game for months now. But the text in the trailer, as well as the description on YouTube, reveal more. Namely, that protagonist Arthur Morgan is on the run from the law following a robbery gone bad. But, wait. There’s more: The description also implies Arthur will face moral conflict: “As deepening internal divisions threaten to tear the gang apart, Arthur must make a choice between his own ideals and loyalty to the gang who raised him.” This would put him at odds with former protagonist John Marston, whose loyalties to his wife and child were always paramount and whose fundamentally good character was never in question. Speaking of John, we catch what appears to be a momentary glimpse of him in the trailer (or at least a character with very similar facial scars), so it appears the game won’t neglect its own continuity. This does create a paradox, however: John’s goal in the first game was to wipe out any remaining Van der Linde gang members, meaning you’ll likely have a good idea of who has to live and who can be killed off — unless the game has some secret story twists it’s not yet shared with us. We’ll see when the game comes out on October 26.